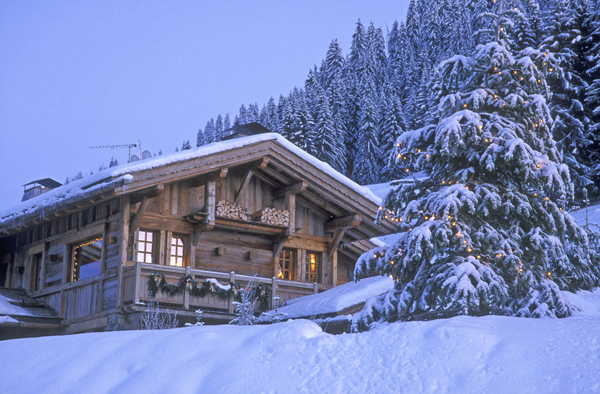 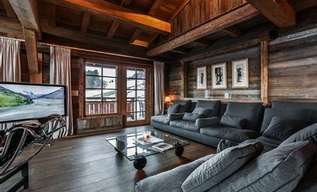 If you are looking for the ideal chalet to capture the magic of the French Alps, look no further. 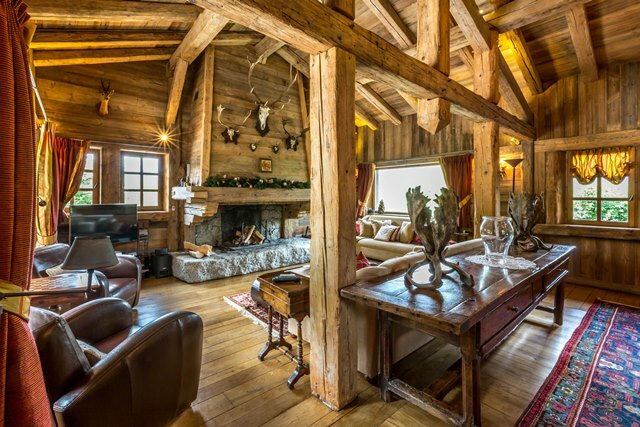 Located next to the Rochebrune bunny slopes, within walking distance to the centre of the village, and with a superb level of accommodation, privacy, and facilities, Chalet Angelina is truly a benchmark luxury chalet rental in Megève. 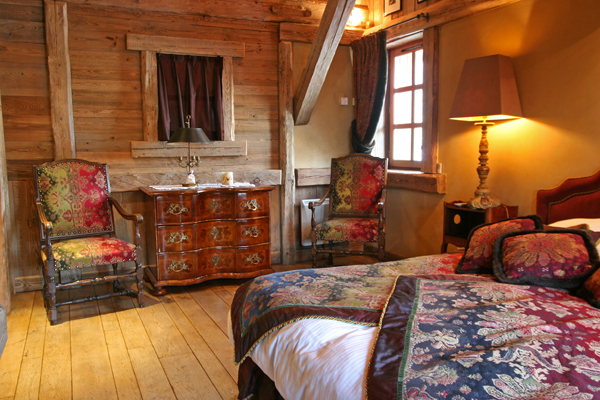 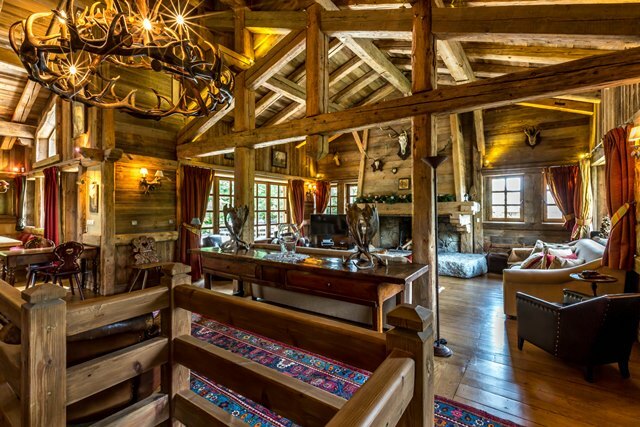 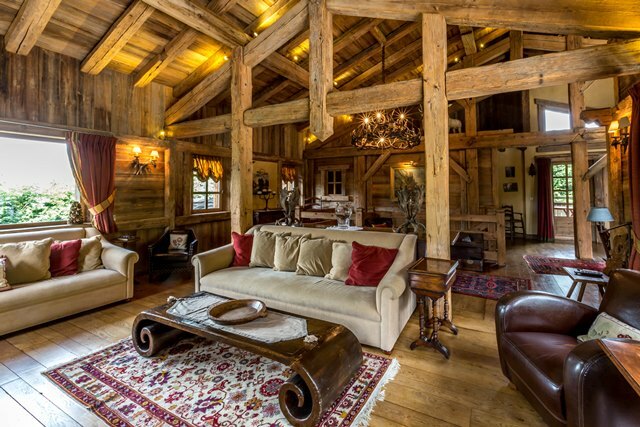 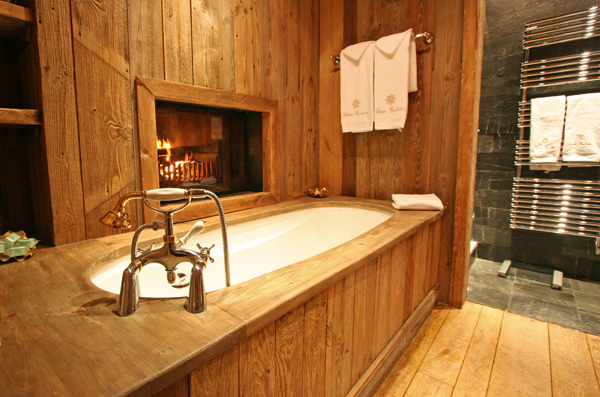 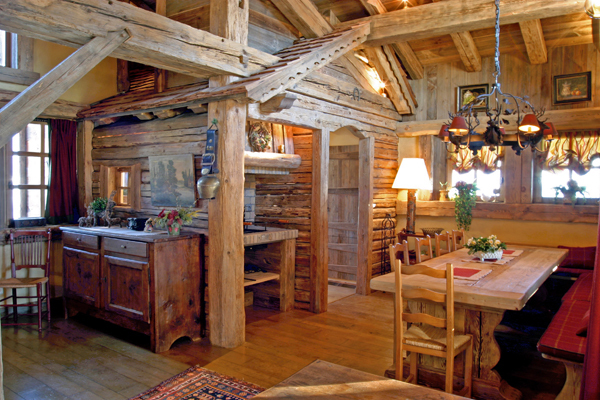 The rustic elegance of this luxury chalet is enhanced by the pinewood details and original architecture. 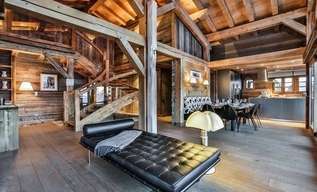 The upstairs level has an large fireplace and tall open-beam ceilings. 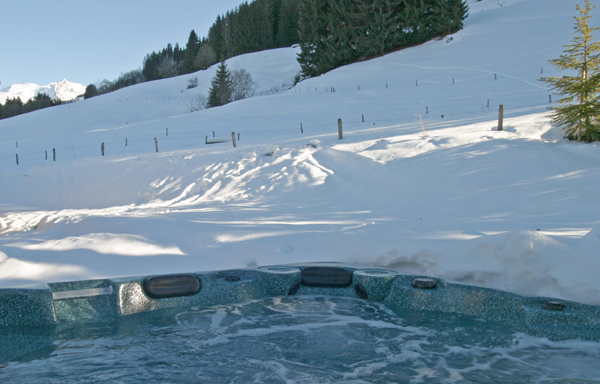 A large terrace hosts an outdoor hot tub as well as lovely views of the slopes and neighboring mountains. 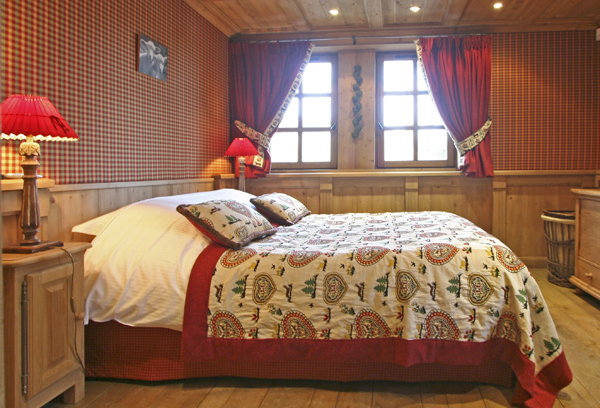 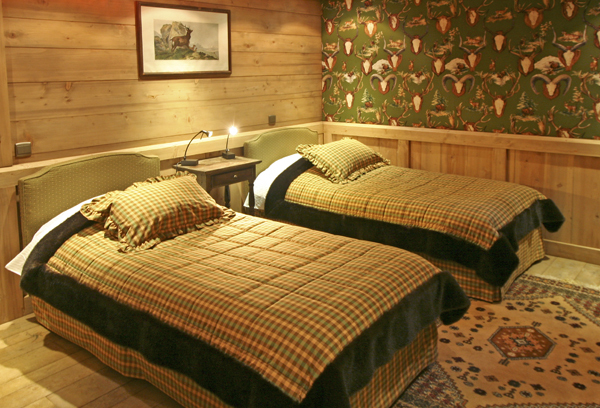 Suitable for up to 10 adults and two children, the luxury chalet is laid out with most bedrooms downstairs and a master bedroom upstairs. 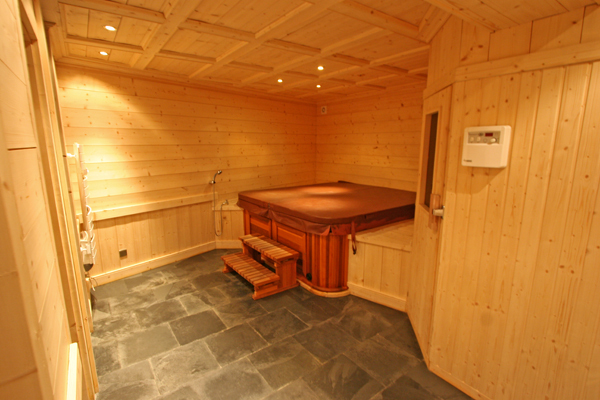 There is an open plan dining area, a roasting grill, and a second jacuzzi downstairs with an adjacent sauna.